Fishkeeping has become a great hobby for many people over the last few years. Creating a beautiful freshwater aquarium can be a worthwhile experience. It’s a relatively inexpensive hobby in comparison to others. In this post, we are going to list some of the coolest freshwater aquarium fishes so that you can pick according to your taste. Choosing the fishes for your freshwater aquarium itself an art and reflects your taste. 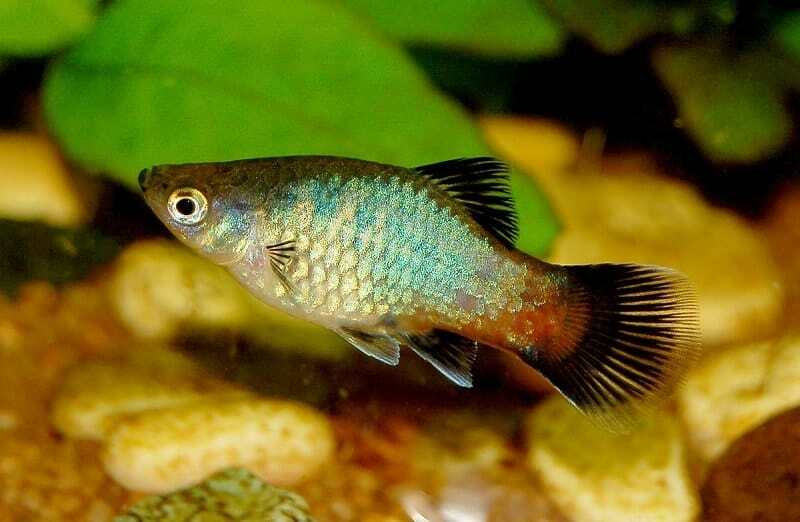 The freshwater aquarium fishes have different colors, food habit, life cycle etc that requires your close attention when you choose which ones you want to keep and which ones are too hassle for you. There are different types of aquarium fishes but not all of them are freshwater fishes. Any beginner will be confused by the various types available and facing a hard time when it comes to making up your mind. 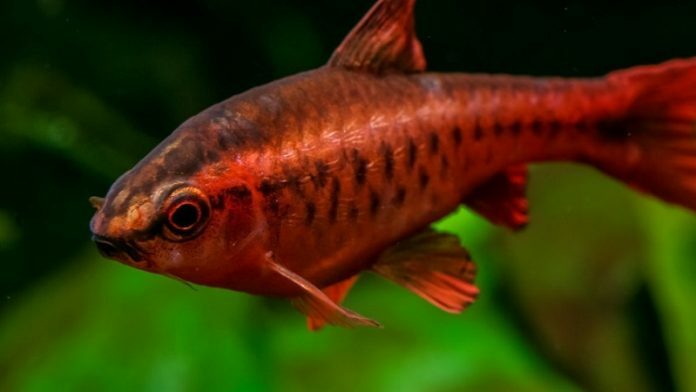 Here are the top 10 best freshwater aquarium fishes suggested for the beginners. The Guppy is one of the most well-known, popular freshwater aquarium fishes and perfect for beginners. They add lots of color to tanks, are peaceful, cheap and very easy to take care of. This colorful and lively fish is able to adapt to a variety of water conditions – which is one of the reasons they are one of the best freshwater aquarium fishes. 1 gallon is enough per guppy. The ideal water temperature for guppies is 50OF – 84 OF, but the most important factor is that the temperature is kept consistent. Male guppies are typically 1.5–3.5 cm long, while females are 3–6 cm long. The male fish have brighter colors and bigger fins, which makes it easy to tell the males and females apart. 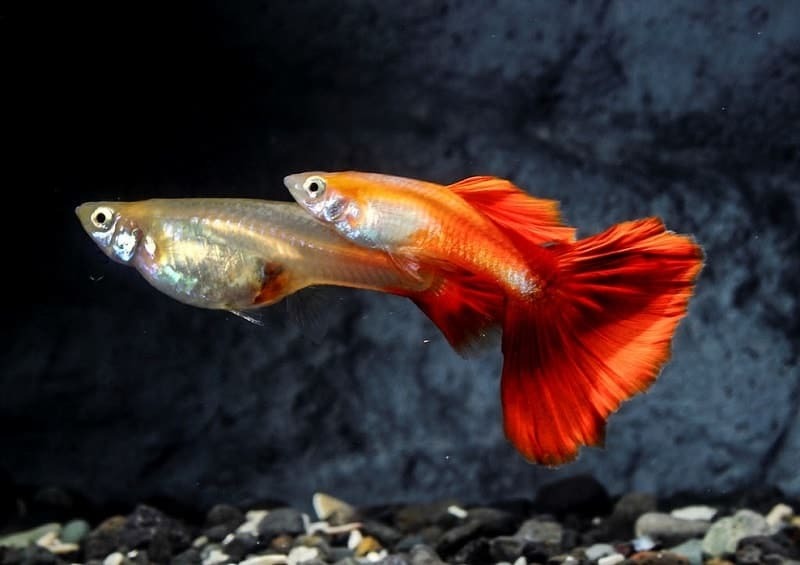 Guppies are prolific breeders, so if you don’t want huge families of fish on your hands, only choose guppies of the same gender. Guppies should be fed a mixture of plant and animal based foods, they can eat regular fish flakes. However, they can also eat brine shrimps, blood worms, and Daphnia. No list is complete without Bettas. Betta is one of the best freshwater fishes for beginners and the most spectacular tropical fish you can keep. The long colorful fins will catch the eyes of anyone peeking in your tank. They’re the only fish that don’t require a filter or heater. Their average size is 3 inches long, though you’ll often see Bettas in small ornamental tanks; they should be housed in bigger tanks. You’ll just have to make sure, to change the water on a regular basis and keep them at the right temperature. 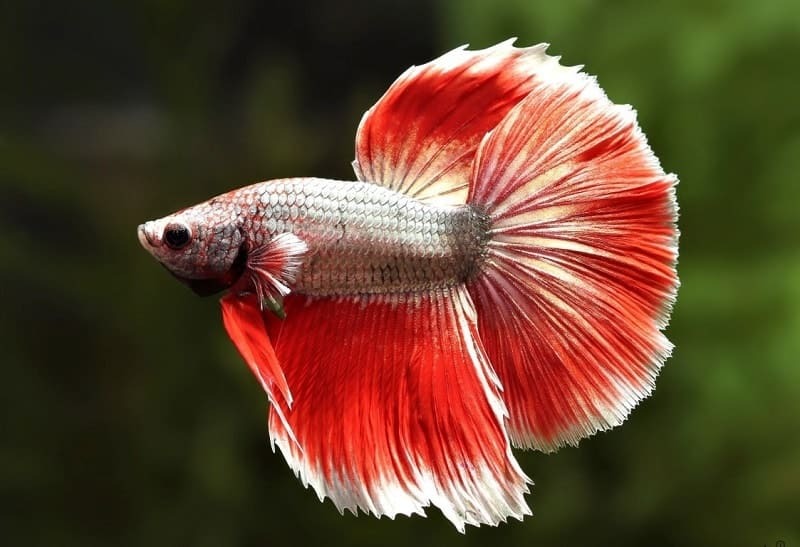 Male Bettas are disreputably aggressive towards other males. That is why only one male Betta should be kept in an aquarium. Bettas require an indiscriminate diet, of both plant and animal foods. They are very easy to care for, and they will eat most types of food including fish flakes, blood-worms, and brine shrimp. Their ability to breathe atmospheric air, by using an organ called the labyrinth is amazing. Beautifully colored, small and being very cool freshwater fish, Neon tetras are definitely a must for beginners to keep in their aquariums. The blue color and the shimmery stripe of neon tetras may become dim at night and can be virtually invisible after a period of darkness. They are very active, a lot of fun to watch and they love being in groups. So, there is an advantage of keeping them as much as you want to, cause the bigger the group, the happier they’ll be. 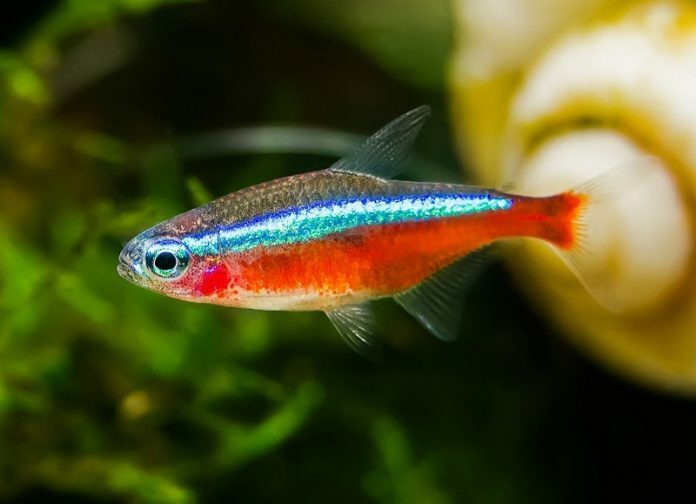 They can live peacefully with various types of tetras, as well as other community fishes. A full tank setup, including a heater and filter, is required for them. The ideal water temperature is around 21-27 ͦC and pH level between4-7. Their diet is simple. They are omnivorous, will accept most flake floods, also small foods such as brine shrimp, daphnia, blood-worms, tubifex etc. Mollies are small, peaceful species and also versatile fish (which means they can survive in both freshwater and saltwater aquariums). They are great for beginners because of their being extremely hardy. This freshwater fish will enhance the vibrant look of your aquarium. These species grow to around 3-4 inches. The standard size of male fish is 3.2” and female fish is 4.8”. They can adapt well to a variety of water conditions; with a minimum tank size of 20 gallons and warm water with a pH between 7.0-7.8. 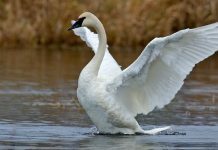 In terms of their diet, they require both plant and animal food such as algae, vegetarian flakes, blood-worms or brine shrimp. They breed very easily and give birth to their young, rather than lay eggs. 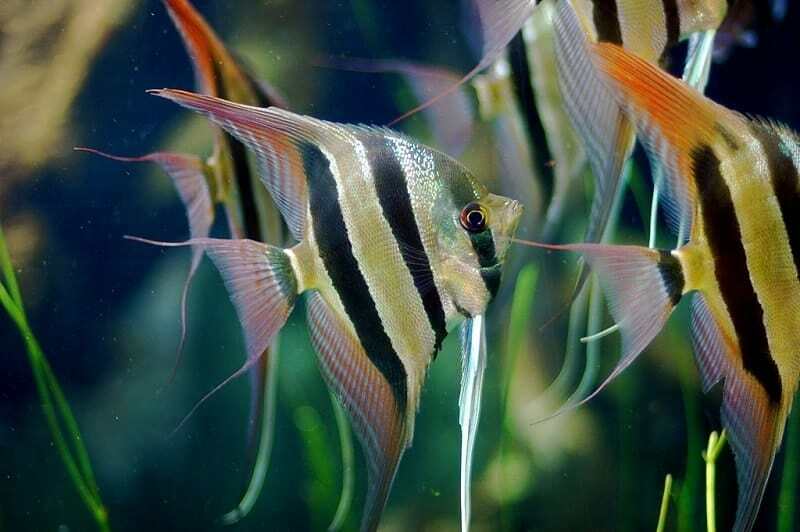 Angelfish is one of the coolest and also commonly kept freshwater aquarium fishes. They are a member of the Cichlid family and not as delicate or tough to keep as many people think. They can live with other tropical community quite peacefully, but sometimes can be aggressive towards young fish, especially, when the tank is over-crowded. They do grow upto 6 inches in length, and 8 inches tall, though their tank should be at least 20 gallons. The water should be slightly soft, acidic and temperature around 80 ͦF. They are omnivorous, for which they’ll need a balanced diet of meat and plant food. They are very popular for their unique shape, color and, behavior. Platies are a great community fish which comes in almost every color imaginable and very popular. They are very peaceful and get along well with non-aggressive fish such as guppies and mollies. They are small in size and a 10-gallon tank is large enough for 5 fishes. 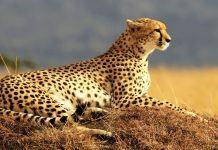 Whilst they are omnivorous, they do require a good mix of plant-based food and proteins. In terms of breeding, Platies can have from 20-50 baby fish at once, as often as once a month. They may also eat their own young babies. Cherry barbs are the perfect freshwater fish for a home aquarium though they take a while to adjust with their new surroundings. The name “Cherry Barb” came from the color which the male fish turns when it is spawning. Generally, their color is silver/black with a golden lateral line. They grow up to 2 inches long and very easy to take care of. Their minimum tank size requirement is 25 gallons. Cherry barbs are omnivorous and will eat various types of food such as live, fresh and frozen, and flake foods. It’s bright, eye-catching colors, and entertainment value makes it even more favorite within the fish keeping community. They are very active and fun to watch once they become accustomed to their new tank. To make them comfortable and allow them to hide whenever they need, we should keep some live plants. Another peaceful and colorful freshwater aquarium fish, also known as Cory cats, live harmoniously with most other fishes. Cory catfish is the perfect fish to choose from over 140 species. They are very calm yet active as bottom dwellers. Corydorasgrow to around 2.5 inches in length. They are excellent for keeping your tank clean because of their love for vegetative matter and algae. They’ll pick up leftover foods but also require other foods such as flakes and bottom feeder tablets. Cory catfish is a communal fish; thrive better when kept in groups of two or more. They are gorgeous and colorful, aren’t they? 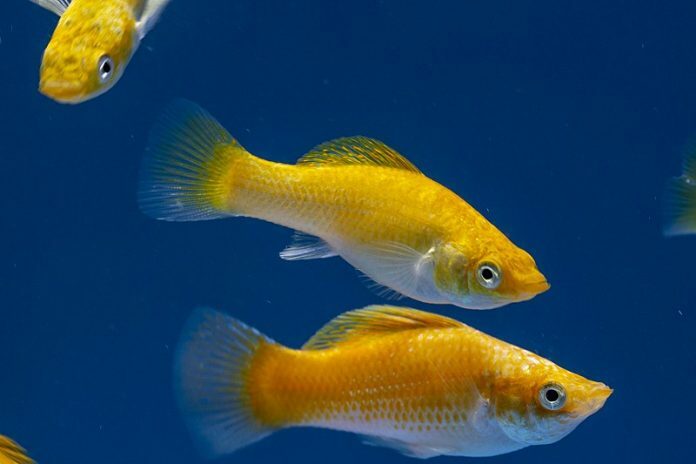 Danios are hardy and lively and very popular in the aquarium hobby. They are the best freshwater aquarium fishes for people who don’t have much experience with setting up a tank. They have the ability to survive in a variety of different water conditions, which makes them excellent. However, they should not be housed with aggressive species that could harass or eat them whole. 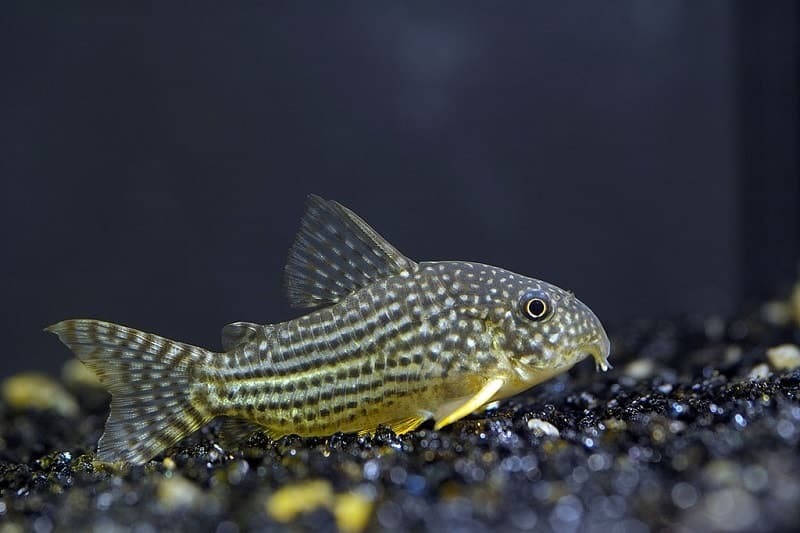 Most danios are very small in size and are often horizontally striped. Danios are usually very active and fun to watch. In terms of their food, they will be more than happy with fish flakes. They do love live frozen foods like brine shrimp, blood-worms and tubifex worms. 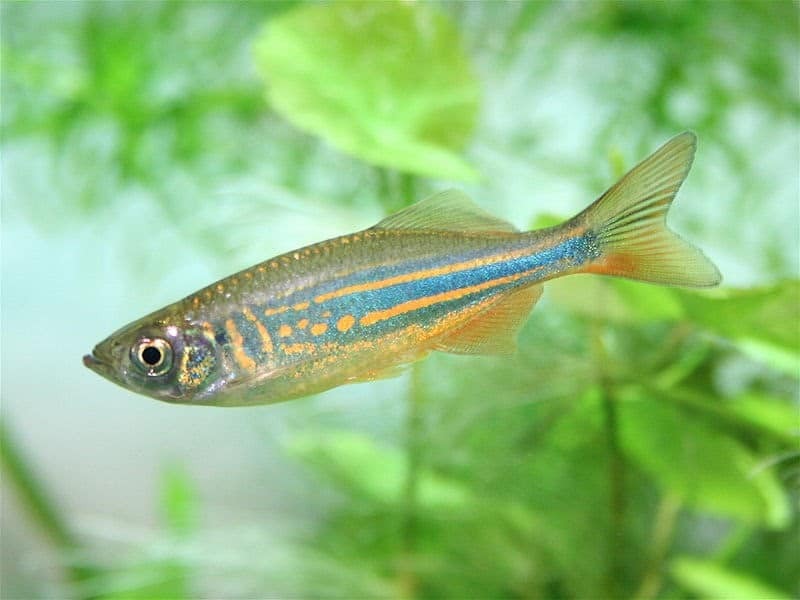 Danios are particularly prolific breeders and by giving the right conditions they can often spawn at least once a week. 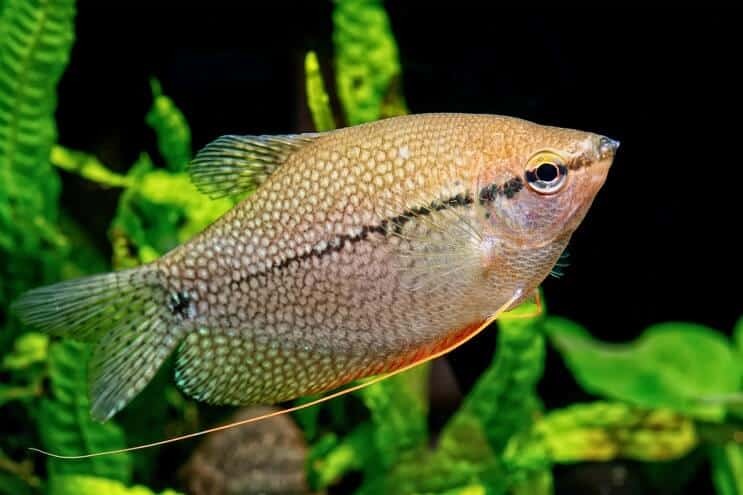 The Pearl Gourami is one of the most attractive Gouramis and very easy to keep. They have large delicate fins and a beautiful collection of white spots across their body. It can breathe by gulping air from the surface of the tank, for which it is also called Labyrinth fish. The minimum tank size for them is a 30-gallon tank with sufficient hiding places, low lighting, and a dark substrate. They can be housed with other fish of a similar size and nature; however, you should not mix them with aggressive fishes. They do like to hide, so a small covering of floating ferns and plants can give them a good place to hide and feel comfortable enough. About their food habit, the Pearl Gourami can eat a wide variety of different foods, both meat-based, and plant-based. For the best overall nutrition, we suggest feeding an algae-based flake food, as well as live food such as blood-worms, brine-shrimps, etc. They are widely known for eating Hydra, a tiny pest that has tentacles with venom. If you are setting up your aquarium, you should know that the maintenance of the different fishes is a fancy learning experience. The above-listed fishes are great for a freshwater aquarium. 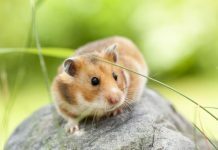 Learning to look after a small animal can teach us how to be responsible and kind. Fish come in a variety of shapes, sizes, and colors, and just watching them always can help to relax and become stress-free.